According to personal experience, Nixie Tubes are really awesome. My Divergence Meter Project made me realize that. But what were they exactly? Basically a Nixie Tube was a type of Cold Cathode Display, so unlike most cathode displays ( e.g tungsten light bulbs ) they didn’t rely on heat to create their light, but instead it uses a process called glow discharge. Though of course this didn’t mean they stayed cool during their operation, if the current were to go over allowed ratings for prolonged times then it could potentially heat up the tube. So first some background history, the Nixie Tube was first introduced and developed by a company called Burroughs Corporation in the year 1955, it was originally code named NIX 1 for “Numeric Indicator eXperimental No. 1” but then later on it was just shortened to NIXI then after that it later evolved into what we call a NIXIE tube. So actually no it does not have any connection with the mythological creature with the same name. Or it might have? *smirk* ( I’m looking at you .elf, .dwarf etc, lol us engineers just love our RPGs, It’s sister was called the PIXIE tube so yeah you get the idea. ) At the time they were really popular for use in technical equipment like multi-meters, scientific displays, calculators etc. However later on, they were slowly replaced by better display technology, most notably LEDs which are still in use today and mostly likely in the future also. 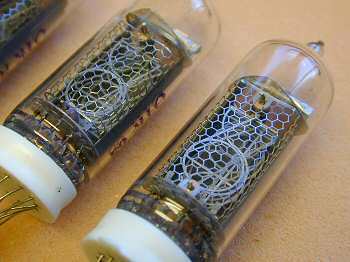 Sadly Nixie Tubes were quite power hungry and the drive circuitry was either too big or complex, as the tubes required high voltage to operate, this meant that a high voltage transformer or a DC-DC converter had to be employed. Being made of glass they were also easily broken especially the tip of the tube, a single crack could ruin a tube. Then we have the problem of tube blackening and cathode poisoning, since these were glow discharge devices, just like normal light bulbs they also “sputtered” so eventually the electrode inside would get so thin it would break. Also the “sputtered” material was non-conductive, so if it got onto the other electrodes it would stop it from conducting electricity and hence stop it from glowing properly. Personally I’ve had some tubes that had some cathode poisoning for some reason even if they were NOS. Usually this can be fixed by driving the tube overcurrent and burning off the material, however this greatly reduces the life of the tube and it also brings us much closer to the first problem, tube blackening. Excessive sputtering could cause the material to deposit onto the glass and it looks somewhat like a dark haze almost like soot. So obviously this layer decreases the overall brightness and it can look really ugly. There is no way to solve this problem. I still find myself staring at the tubes at night, I would call it a type of 3D display. The way the digits move backwards and forwards is really nice. There were many different kinds of Nixie tubes that could display different kinds of digits, some of the special digit tubes like the alien digit tube can be really expensive. However for most cases these days you’ll only be needing numericals which are still very plentiful today. 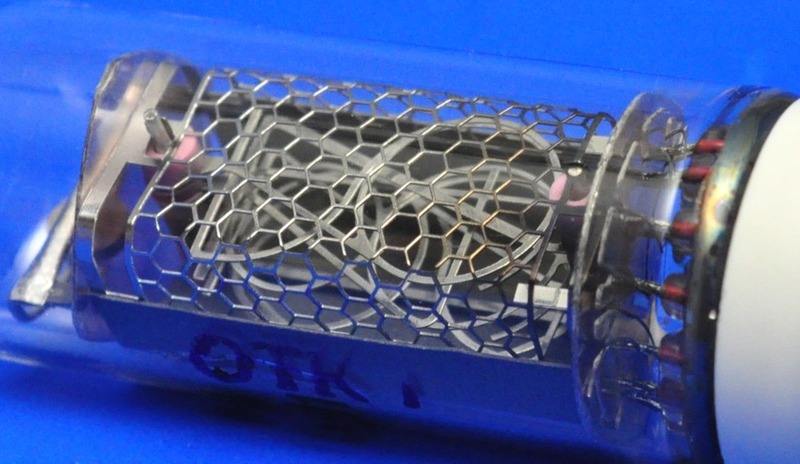 If you ever want to obtain some of these tubes, it’s not that hard actually though I recommend going on ebay as it’s way cheaper though the delivery can take up to a month. Anyways that’s it for this blast from the past.